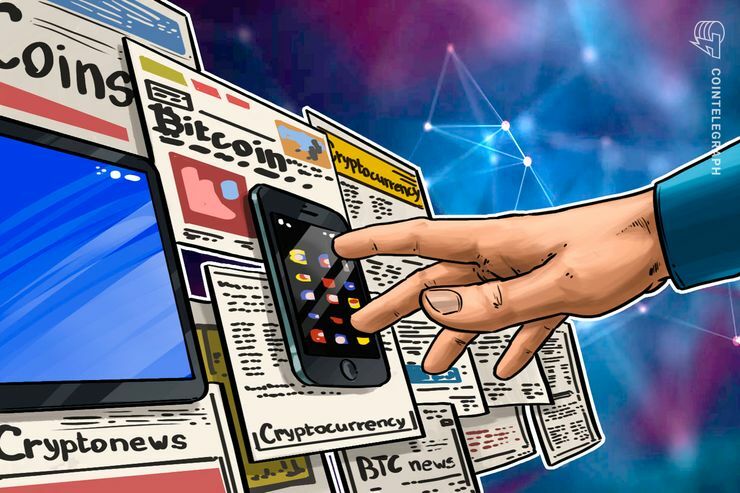 A recent study by blockchain-oriented research firm Clovr found that cryptocurrency coverage in the mainstream media spikes when the market drops off. 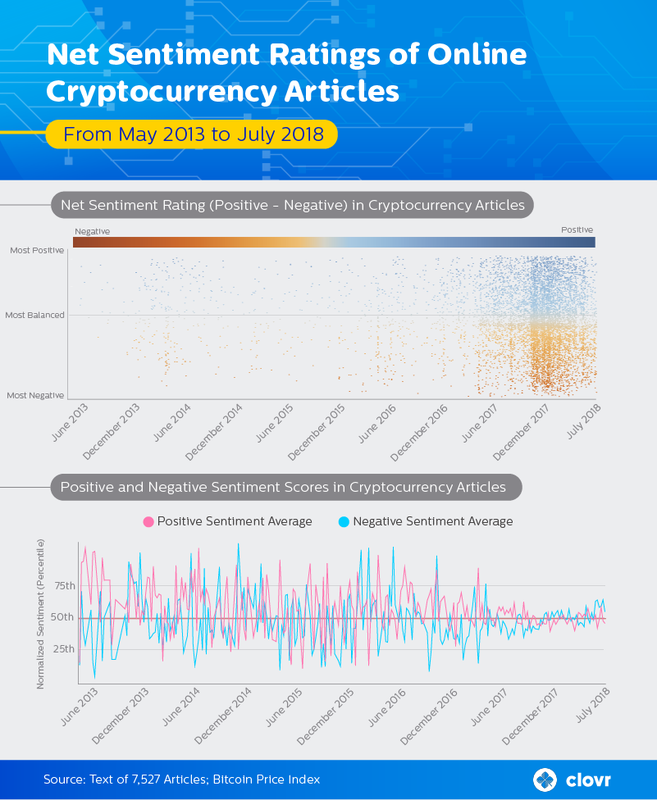 The analysis tracked the correlation between coverage on crypto values over the past five years and the sentiments of published materials. 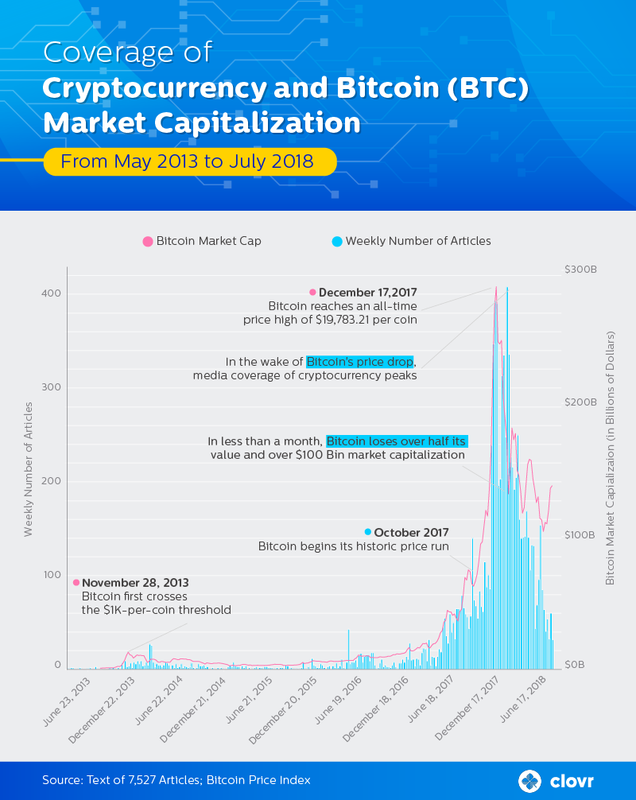 In the course of its research, Clovr surveyed 48 mainstream U.S.-based and international media outlets for pieces covering cryptocurrency from Jan.1, 2013, to July 31, 2018. All articles were analyzed using sentiment analysis tool Valence Aware Dictionary and sEntiment Reasoner (VADER) and the Natural Language Toolkit (NLTK) library in Python. The analysis included the full text of 7,527 online news articles.